Johnny Cash (1932-2003) recorded almost one-hundred albums in his long career. Of all those many albums, he said his favorite was the last one he did, released just a few months before he died. None of his best-known songs are on this album, none of the songs in that album were written by him, and there is no band behind him. It is just Johnny Cash, now an old man with his voice not quite what it used to be, playing his guitar, and singing fifteen of his favorite old Gospel hymns. The name of the album is My Mother’s Hymnbook, and it contains some of the first songs he heard as a child. His mother, Carrie, would play these songs on her guitar and her piano, and sing them to her children. 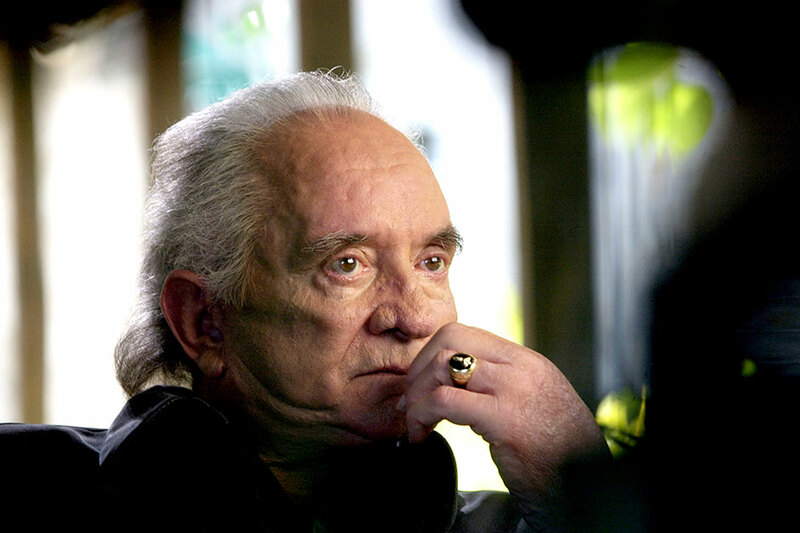 The tunes led to Johnny Cash’s love of music and career; the words became the foundation of his faith. 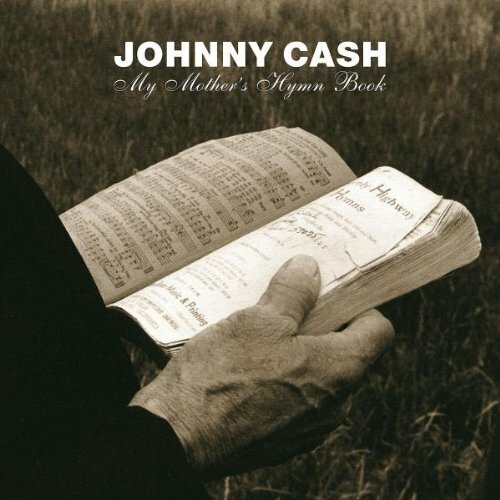 The name of Johnny Cash’s mother’s hymnbook was Heavenly Highway Hymns. When she died in 1991, he got that old book— and it became one of his favorites. He was almost sixty years old, and was starting to think about the end of this life and what was in store for him in the next life. He returned again to those hymns, and those words of the faith that were instilled in him so many years before. The focus of many of these hymns is on the life to come; hence, the title, Heavenly Highway Hymns. These songs about about how to get on and stay on that road. My mother had an old book called Heavenly Highway Hymns. She used to sit and play those songs in it– old church songs, country gospel songs, dozens of them– all the way through, over and over in her lifetime. My mother loved that book. It’s mine now, and its kind of dog-eared and ragged, a little bit like I am, and I love that book too. So when I started picking out songs for an album of my favorite church and gospel songs, I went to my mother’s hymn book, and I found the ones I wanted to record. The songs in that old book mean more to me than I can tell you, so I’ll just sing ’em, me and my guitar; simple, no adornment, knowing that God loves music and that music brings hope for a better tomorrow. You asked me to pick my favorite album I’ve ever made and this is it, My Mother’s Hymn Book. On that album I nailed it. That was me. Me and the guitar, and that’s all there was in it and all there was to it. I’m so glad that I got that done. When I ask him if there’s anything in particular he’d like to talk about, he answers without hesitation, “I want to talk about My Mother’s Hymn Book.” It’s an album he’s fiercely proud of– his favorite, he says, of anything he’s done. These are songs that his mother Carrie taught him when he was a small boy living in their small cabin on a New Deal farm in Dyess, Arkansas, singing and playing them to him on her Sears Roebuck catalog guitar. “They’re powerful songs,” he says, “They are my magic to take me through the dark places.” They are songs he would sing to keep the terrors at bay as a frightened five-year-old walking home in the darkness, through the flat, black land, after working in the cotton fields. Or when his father had one of his violent rages. Or when, as a broken-hearted 12-year-old, he watched the coffin holding his beloved brother Jack lowered into the ground. He sang songs associated with good times too. “My mother had always taught me that music was a joyful thing.” And the songs ultimately gave him his career. If Carrie had not taught him these hymn book songs, encouraged him to sing them and told him that his talent was a “gift from God” and he should not toss it away, he would likely not be here today, on the front porch of this big, beautiful house with guitars, country music trophies, and rock music awards. Psalm 96:1 — Sing to the Lord a new song; sing to the Lord, all the earth. Sing to the Lord, praise his name; proclaim his salvation day after day. Psalm 33:3 — Sing to him a new song; play skillfully, and shout for joy. Psalm 71:17-18 — Since my youth, God, you have taught me, and to this day I declare your marvelous deeds. Even when I am old and gray, do not forsake me, my God, till I declare your power to the next generation, your mighty acts to all who are to come. This entry was tagged Hymns. Bookmark the permalink.